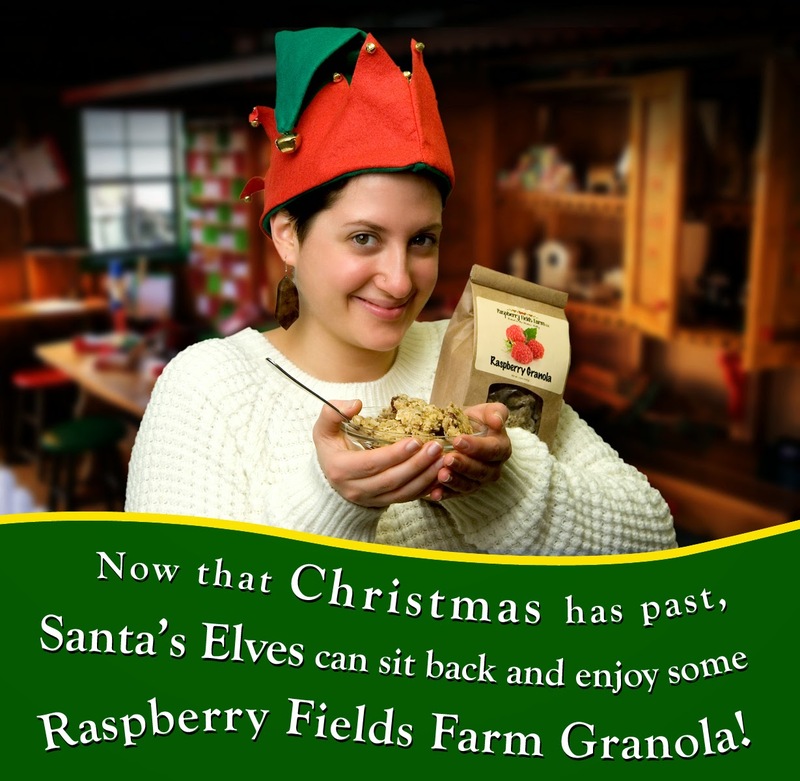 Now that the Christmas rush has come and gone, Santa's Elves can relax, kick back, and enjoy a tasty bowl of their favorite artisan granola from Raspberry Fields Farm. Baked in small batches, and hand packed in the Raspberry Fields Farm Granolary, these wholesome, simple ingredients are fashioned into an opulent taste experience: Rolled oats, crisp rice, whole dried raspberries (or dried apples & raisins in the French Apple Pie Granola), flax seeds, sunflower seeds, coconut, walnuts, clover honey, unbleached flour, evaporated cane juice, canola oil, cinnamon and vanilla. Savor this delectable treat stirred into yogurt, with dairy, almond, or soy milk, sprinkled over ice cream, or—like the elves working the B shift in Santa's toy shop—consume it as a power snack right out of the reusable artisan bag! Why choose Bigcommerce as your e-commerce platform? As a web professional, I’ve worked with hundreds of merchants over the years, helping them sell their products online in a variety of e-commerce platforms. With its easy-to-use, intuitive admin controls and powerful Search Engine Optimization (SEO) features, Bigcommerce is one e-commerce platform that I am confident in recommending to my customers. Try them for free and find out why they power more than 30,000 online stores. Bigcommerce gives web pros full access to HTML and CSS, so I can customize the design and functionality of your site to give you exactly the online store you want. You’ll get everything you need to sell online, including a securely hosted site, shopping cart and product catalog. And it’s all simple to set up and manage with no previous experience. Promoting your store and increasing traffic is as easy as a few clicks of the mouse using Bigcommerce’s built-in marketing and SEO tools. And their analytics features show you the results of your efforts in a format that is easy to understand. All Bigcommerce stores are PCI compliant and secured against intrusion using the latest methods, so your data is always safe. And their 99.99% uptime gives you the stability you need to succeed. Unlike other services, Bigcommerce doesn’t penalize your success by charging transaction fees, and you never have to worry about hidden costs. What you see is what you get. Bigcommerce is extremely customer-focused, with e-commerce experts available to help you via phone, live chat and email. Plus you’ll have access to hundreds of support articles, video tutorials and a community forum that will teach you everything you need to know about selling online. Raspberry Fields Farm is dedicated to delivering wholesome and whole foods using old world artisan methods. 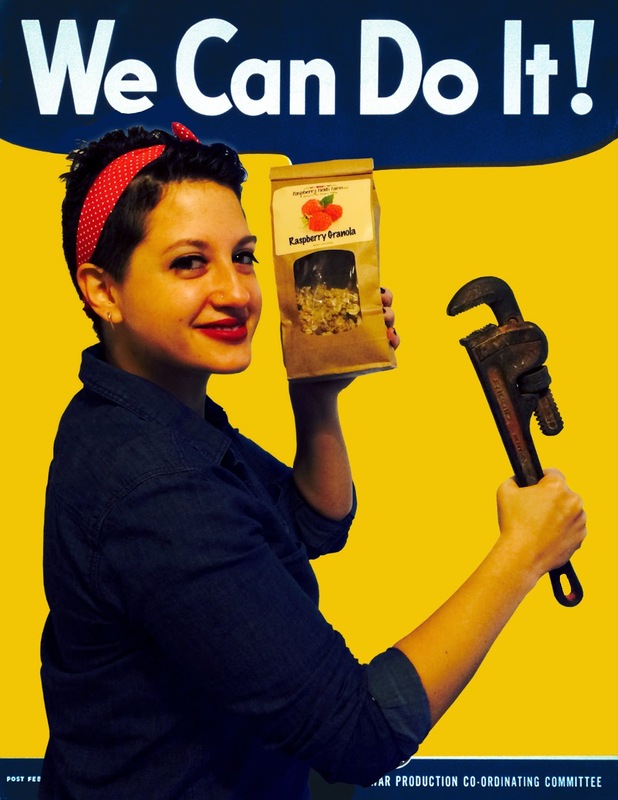 Our baked products are made without mechanization in small batches for people who savor the taste of whole foods. A return to simplicity – in our work, home, and community. We would like to extend that genuine feeling to you. Unfortunately, when product images are uploaded to ProStores utilizing the Multi-Image feature, the original file names are replaced with a program generated alpha-numeric name ending in _s, _m, _l (small, medium, large). 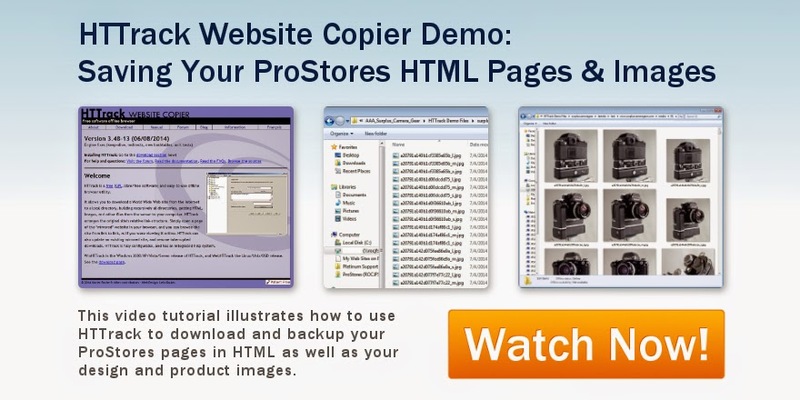 If you have a large catalog, matching your image files extracted using the HTTRack Website Copier with the original name/product can be a daunting task. However, it is possible to use an exported product.csv file along with the ProStores Custom Product Feed file to easily match the primary image assigned to a given product. See the Migration Center in your ProStores Administration for details on all migration options being offered to ProStores merchants. Another valuable resource is the ProStores Migration Guide. It contains a migration checklist, content and links needed to steer you through the process of migrating your store. Be sure to download the latest version. The FCC's proposed Internet rules are out — and they're terrible. As we feared, FCC Chairman Tom Wheeler is pushing a plan that would allow rampant discrimination online. If approved, these rules would mean the end of Net Neutrality. Wheeler’s plan would let Internet service providers like AT&T, Comcast and Verizon create a two-tiered Internet, with fast lanes for those who can afford the extra fees and a slow dirt road for the rest of us. These companies would have the power to pick winners and losers online and discriminate against online content and applications. And no one would be able to do anything about it. But we have a way to fight back: The FCC has opened up a comment period for us to weigh in on its proposal. Add your comment: Tell the FCC to throw out its rules and instead reclassify ISPs as common carriers. This is the ONLY way to protect real Net Neutrality. We'll make sure your comments are filed in FCC Docket 14-28.